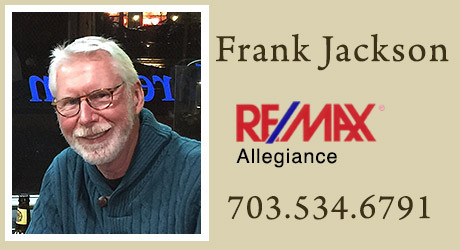 Let's get together - Arlington VA Homes - Frank Jackson. As your REALTOR® and representative, I dedicate my efforts to ensuring that buying or selling your home is as satisfying as possible. I respect your wishes and needs, and am honest and forthright throughout the transaction. A reflection of my effectiveness is the number of repeat buyers and sellers I have represented, as well as the many referrals my clients direct to me. ln addition to more than 30 years buying and selling homes, I possess considerable experience and knowledge of the building and construction trades. I hold a Class A construction license and I have built and renovated a number of homes and townhouses in Virginia and Alaska. lf you are trying to make a decision about whether to renovate your existing home, or sell, I can provide competent advice about the "pros and cons" of the options involved. Additionally, I have excellent relationships with reliable loan officers, appraisers, inspectors, and other real estate professionals throughout our area. ln addition to my years spent in the building trades, I lived in Alaska for 17 years, where I was a park ranger and naturalist. I have traveled extensively, and continue to do so. I also enjoy biking, camping and reading. When you are ready to buy or sell your home, call or me. 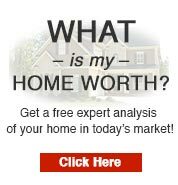 let me put my years of experience in building, buying and selling of homes to work for you!